AC Schnitzer is one of the oldest BMW tuners out there today. The company has been helping BMW owners and enthusiasts get more out of their cars for over 40 years now and they don’t seem to show any sings of slowing down. From the age of high-revving naturally aspirated engines to the turbocharged era and even into the electrified or hybrid future, AC Schnitzer has been delivering proper tuning bits without forcing you to give up your car warranty. 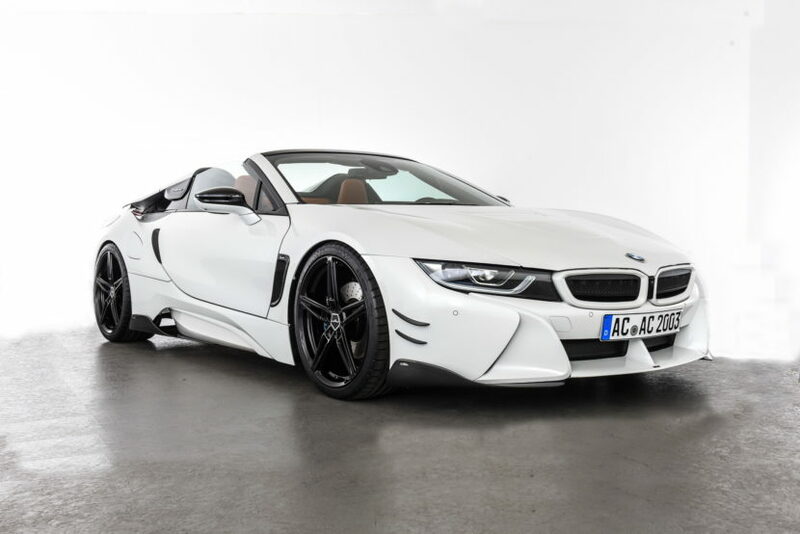 Speaking of hybrids, the BMW i8 Roadster is the latest Bavarian model to get the full AC Schnitzer treatment. Their take on the drop top two-seater features a rather sober theme with only two colors dominating the exterior: black and white. 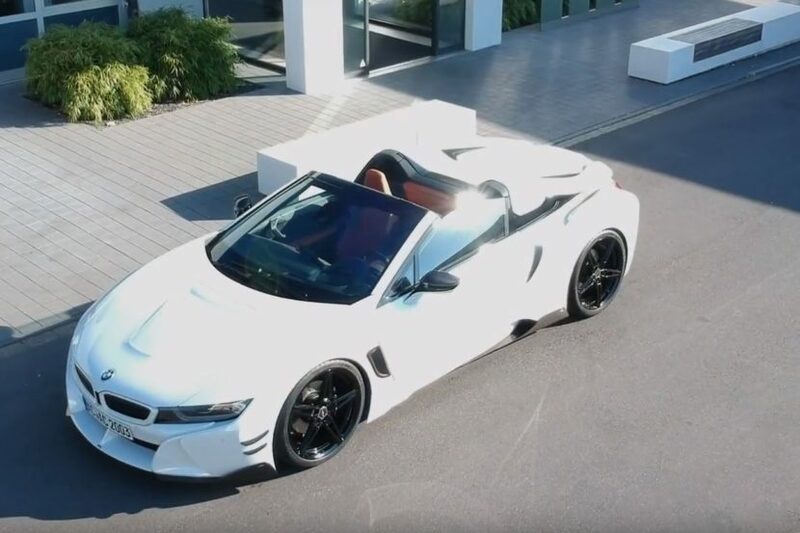 Whereas the BMW people decorate the Roadster with some other colors as well, most notably the i Blue shade, this time round we’re dealing with a two-color arrangement which may work for some people out there. Of course, this is a show car and is intended to feature all the items AC Schnitzer has in store for the Roadster. Therefore, interested customers can choose only what they are interested in, from the wheels to the carbon fiber center front spoiler or the carbon fiber canards on the sides of the front bumper. You can also get carbon fiber mirror covers, side skirts and a new spring kit to lower your car for better driving dynamics. Speaking of which, in terms of power upgrades, offers on the market are very limited because of the complicated hybrid powertrain of the i8. There’s one power upgrade kit offered by a Belgian tuner for the i8 right now which increases the power output of the 1.5-liter 3-cylinder engine but that’s about it. Well established companies such as AC Schnitzer or even Dinan in the US don’t meddle with the powertrain, possibly for very good reasons.